I often suggest to other founders that they thoughtfully identify the key things they need to do to reduce risk / create value in their companies, and put extra focus on those. So in that spirit, I'll here recall three key things that were key value-creation points in the first couple of years of Acquia: Co-founding with Dries Buytaert, assembling the initial investor syndicate, and building the initial management team that figured out what our business would look like. The following story of the initial founding story of Acquia hopefully illustrates how I identified, and attacked ours. Before founding Acquia, I had been an engineer or executive bringing new software products to market for other startups. I’d gotten good at validating markets, identifying what things customers would pay for, discovering product price elasticity, etc. -- all a good foundation for being a startup entrepreneur. At the same time, when I started working on Acquia, I wasn’t in a good place. A decade before, I had launched my first venture-backed startup (Pingtel), which tried to take advantage of the sweeping conversion in telecom from traditional phone lines to voice over IP. In the end, after founding and running Pingtel for some years without reaching escape velocity, I was summarily replaced as CEO. After some more time the company was sold for less than the total venture investment. The dreamed-of payday eluded me. I knew Pingtel’s lackluster outcome would make a little harder for me to raise money than somebody with a successful exit under their belt. But Pingtel had made me a better entrepreneur, and I knew that if one learns fast enough, and keeps trying, you can eventually win. And I had learned lots, the hard way. I also knew that I’m one to swing for the fences. I would only spend time to build a company that could create big new markets, or disrupt existing large markets and be the dominant player. Whatever I built next had to be something that could become worth a billion dollars or more. I knew this would require venture capital, and an incredible team that also owned significant equity in the company that would hopefully make them rich, too. I had also acquired rare experience in how to build a company around an open source software project. There are only a few ways to do so that can lead to a big company. People most commonly look at RedHat as the touchstone, but building a successful open source business is harder than simply mimicking RedHat. So I knew that I wanted to build the “RedHat for --- something”, but I just didn’t know what market, or software. So, time to build a company. I started in early 2007 with a simple hypothesis that I tested on other tech industry veterans I trusted. After only the first half-a-dozen conversations, I ended up talking to Michael Skok at North Bridge Venture Partners. And here was the first instance where I recognized I’d found a person who would be incredibly good for the company. In my first conversation with him, Michael demonstrated two reasons he would be the right investor to partner with. First, he was naturally aligned. He had already educated himself in the business of open source, and - like me - was seeking to build a big, disruptive company using the open source business model. Second, he was willing to work to figure out what that was going to look like. Instead of waiting for me to come in with a finished, ready-to-fund company, he gave me a desk in his office, and started working with me to find the right market, and technology. Also, I enjoyed working with him. I spent the first few weeks of 2007 evaluating countless open source projects, and they served. I was disappointed because the majority of projects had some great attributes, but not the full set of them necessary to build a big open source company. But I was also excited because there were a couple of high-potential projects; in particular, Drupal. It was clear to me that the project lead needed to be synonymous with the company, and thus a co-founder. I could contribute all my value in helping build the company, but I felt strongly that wouldn’t be enough. In order to have legitimacy with customers, and support from the community, I felt the project lead had to be co-founder of the company. So the first value inflection point was to go make sure the Drupal project lead held a shared desire to build a RedHat-type company, and do it with a stranger -- me. 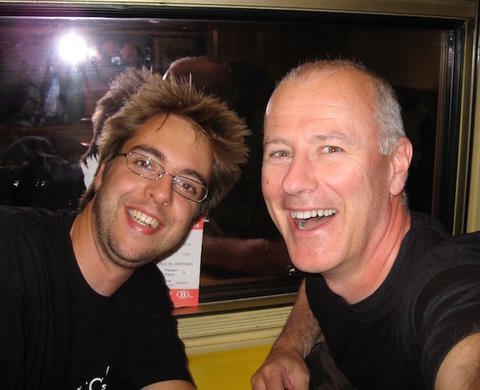 In the spring of 2007, I went to Drupalcon in Sunnyvale, CA to check out how well (or poorly) the Drupal community worked, and to meet Dries and start this conversation. I had to walk up to him, hold out my hand and introduce myself, and in a hallway setting briefly lay out my thoughts as an entré for a dialog. Can you say “cold pitch?” Fortunately, Dries was intrigued enough to (somewhat reluctantly) agree to a breakfast meeting to talk in more depth. As much as I wanted to start a company around an open source project, it wasn’t enough to simply have the lead as co-founder. The lead also needed to be the equivalent of an incredibly good hire. Not just a technically astute person, but an individual who had the right behaviors for being a startup co-founder (with me), for building a big company, and maintain leadership in the project community. And somebody I wanted very much to work with. Likewise, Dries told me about how he led the community, what he thought he wanted - and didn’t want - for his career, where he thought the product opportunities were, how he needed to manage relationship with the project & community if he co-founded the company, which community members we ought to have in the company, what he could (or mostly, could not!) bring from the project to the company, what he wanted in a co-founder, and everything else you ought to say to somebody you’re going to go through the wringer with. This wasn’t a smooth path. We had days when I thought the whole project was going to derail. BUT, the more I spoke with Dries, the more I felt we were going to be a good combination, and we just needed time to discover that together. He is an incredibly careful thinker, is wise well beyond his years, is super-committed once he’s considered and made a decision, and one of the best leaders of people that I’ve ever met. Many months after our first meeting, Dries and I finally “got married”, and officially declared ourselves co-founders of the company. I am super-proud of how we went through this process. It’s my firm belief that co-founders need to either have a solid pre-existing relationship, or go through a meaningful, significant process to establish one. It needs to be nearly as strong as that with a sibling or a mate, because it’s possible your co-founder relationship might outlive either of those others. I am proud Dries & I both still call each other co-founders, and still meet for drinks and coffee regularly to discuss life, and the business. So, key value creation element number one - done. The second value creation needed was to find awesome investors. Though money & investors don’t directly create value, they do so indirectly. And Acquia was super unique, so we needed a special kind of investor to be there for the long run. In our case, I felt that finding the right ones would be a value-creation element. We were unique because we kind of had a product, but kind of not. Drupal was in use on millions of websites. But, Acquia itself didn’t have a product, and open source companies are notorious for facing the difficulty of how to make money when the software we were leveraging was FREE (in all senses of the word). So we needed investors who would let us experiment to find what people would buy. This might have taken significant time & capital. We expected our product would likely be some well-defined (/bounded) support for Drupal software, and some Acquia-equivalent of the RedHat network. Yet, neither of those things existed; we were raising money purely on a PowerPoint deck. We also knew the easy path to revenue - building websites as a professional services (PS) company - was explicitly not a choice we would make. We felt that Acquia would become a magnet for important Drupal PS projects, and we wanted the PS companies in the Drupal community to build those projects for three reasons: A vibrant open source project requires a vibrant ecosystem, and by taking all the big deals, we’d be sucking the air out of the room for other community members’ PS businesses, and dry up the constant advancement of Drupal software. Second, doing that would not improve our standing in the community. Third, building sites would distract from building the Acquia Network services we felt would be strategically important sooner than later. So, no “easy” revenue for us - again requiring unique investors. When I look back today at our fundraising deck for Acquia, I’m more than a little amazed we succeeded in raising a round. If I apply all the metrics I now use as an investor, Acquia would be too-weak for me to invest in! Clearly, investors had to bet mostly just on Dries and me, on Drupal, and on the belief that a company backing the Drupal project, with the project lead as a founding team member, could become a billion dollar company. We hit the street and pitched in Boston, New York, Silicon Valley - and even Barcelona. As I recall it, it wasn’t always clear whether we came out of those meetings having found a true believer, or a skeptic. Here again, having Michael as investor-partner paid off, because he was able to help me fill in the investor-speak words I wasn’t always able to interpret properly. In the end, we had more enthusiastic believers than skeptics, and our Series A round was oversubscribed. We were fortunate to be able to increase the amount we raised and valuation at which we raised it. How amazing to have investors with enough insight to back us given where we were with the actual business. Also, we did, in fact, carefully consider, and select each investor in the final syndicate. We did have to say “No” to some potentially good investors who wanted to get in the deal. We already knew Michael would be a good partner. I felt strongly that John Mandile (and the venture partner at the time, Roger Krakoff) at Sigma Partners demonstrated a way of working together that was desirable to us. And over time, this proved consistently true. John provided me high-quality behind the scenes counselling, both during and acted as CEO. John doesn’t speak as often as other investors, but when he does, listen carefully; it’s likely worth serious weight. I cannot understate how important Sigma was to our founding. We also selected O’Reilly Alpha Tech Partners because of their understanding of the open source world, and the validation we would receive from that. As a west-coast, and minority investor, they didn’t have as much operational impact on us as North Bridge or Sigma, but the validation we got from having them as investors was a big lift for us in the open source community, and we were proud to have them. So, value-creation point number two: Execute well on creating a strong investor syndicate. Check. Number three: Build the initial team. Pretty much always a value-creation element for startups; despite that, too-few pay enough attention to get it done well. There turned out to be two sub-elements to our needs: First, build a team that could identify what we could sell, to whom, for how much. Second, have a team ready to grow quickly using what we learned. 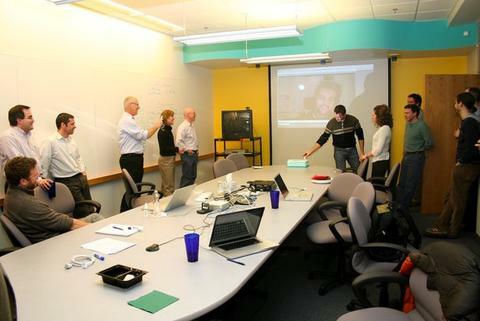 At first-announcement, Acquia needed broad-based Drupal community buy-in. Had the community ultimately rejected having a well-funded company like Acquia, with Dries as co-founder, it would have been hard to succeed. I’m super-proud that Dries identified, and I was able to recruit, Kieran Lal and Gabor Hojtsy into Acquia before our Series A financing was certain. These two guys were - are - well-liked, and respected in the community, and had to accept some risk around whether we would successfully launch. I think their presence, actions, and words did an incredible amount to give the community peace of mind, and us an opportunity to prove that Acquia would be ultimately good for the project & community. I tell entrepreneurs that the cost of a bad executive hire is near-death. Time is your enemy, so most entrepreneurs want to hire the first person they find that smells roughly correct. For key roles, this can backfire. It costs a year of time if the hire is the wrong person - and the company could fail in that time because of it. Despite time pressure, I believe it is better to take more time to find the right person than hire the wrong one too-quickly. We searched for months to find the right VP of Engineering, and it was worth the wait. Chris Brookins brought a passion for the process of engineering that carried us for many years - even beyond his time at Acquia. He was incredibly good at hiring, caring for, building and motivating software developers, has a super sense of humor, is a great cook at company offsites, and a joy to work with. I could continue listing more awesome hires, from Barry Jaspan to Kent Gale, Alex Lindahl, Warren Utt, John DeSalvo - even our office admin Heidi Deschamps, and more. We had amazing fun. We celebrated Drupal’s eighth birthday by video even as we were building our first products. The last key “hire” I want to point out is Tom Erickson. “Hire” is in quotes because it was years in coming. Michael introduced me to Tom in mid 2007, when Dries and I were still “dating”. Initially Tom was to me what I hope I am now for new startup founders: A good mentor. He was a clear voice asking hard questions, providing advice that was mine to take or leave, and insights about what I might be ignoring that I ought to be attending to. Tom was such value that when we closed our Series A, I asked him to be our independent board member, and he agreed. He helped me get better at running Board meetings, and kept us sales-focused early-on. But, there were two motivations that made it the right time to ask Tom. First, I was later in my career, and didn’t have lots of years left for additional startup swings at-bat. If I wanted to have a win, I should do what it takes to make this one work. It was more important to be rich than king. Plus, I had done what I set out to do; get a company started that could be a billion-dollar company disrupting a market via open source software. I’d done what I do best: Identifying where the initial traction will be, getting the R1 product released, market, test, change, re-release, and generally start the train rolling. But at that point, we had validation. It was time to press the accelerator. We were facing a phase in, and scale of growth where I had less experience, and I didn’t want weakness on my part to derail the chance of success. Tom had experience in fast growth, and had proven to be trustworthy and valuable. This proved to be a good decision. Tom has skillfully taken Acquia from “validated product” company to “multi-hundred-million revenue” company. And even now, Tom himself has discovered that there is a point in the company where he isn’t the right CEO to add another zero to the revenue size. It’s his turn to find his replacement. That said, I want to make two more points. Founding CEOs: Don’t under-estimate yourself. You may, in fact, have what it takes to be the CEO for the long-game. If your Board isn’t helping you from the very beginning to become an awesome CEO, go yourself to get help. Find a CEO group, a CEO mentor, or paid CEO training that helps you do the job better. Being a CEO is not natural, and your company (and Board) doesn’t have time to let you make mistakes learning. So go get better at the job before you discover it’s too-late. Make yourself a CEO that thinks both about where your business is, and where it needs to be in the future before your board decides that you’re not the right CEO for that phase of the business. At the same time, be ready to face the facts: the objective data shows that it is rare for founding CEOs to be the CEO for long. Businesses need particular behaviors in the senior executive at various points in the business. You simply may not have, nor can easily change to have, those behaviors. So - just as with finding a CEO mentor - find yourself help from founding CEOs who have stepped aside. Find ones that think the process went well and the outcome for them was good. I count myself one of those (though there are things that I would definitely do differently in retrospect). I’m happy to help coach founding CEOs who find themselves in a similar position. 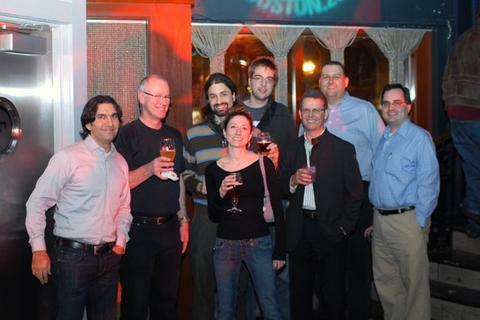 Ten years after founding Acquia, I think we got the early days exactly correct. I’m humbled by, and want to express huge thanks to, all the people who have helped build Acquia. There is absolutely no way this would have happened without you. Assembling the right team was key, and I’m proud of who joined us, and how together we created a company that I believe will soon be that billion-dollar company I set out to build. While I am super-grateful to Michael for being willing to work on building Acquia with me, I would caution other founders to exercise restraint in how in-bed they get with an investor who volunteers to do this level of work. In the end, it becomes quite difficult to say “No” to that investor if it proposes undesirable investment terms. (This happened.) So, get the help - but keep a healthy boundary with your potential investor in order to be able to say No later. Find a partner - but be mindfulful how close of a partner, at what stage. I did seriously examine one other project: Apache Lucene. In the end, the project lead for Lucene was leaving the project to devote his future to Hadoop, so there wouldn’t be a single, clear project lead to have as a co-founder. Additionally, after my customer validation calls, I concluded Lucene would be a smaller market opportunity than Drupal. Most importantly, by the time I concluded these things, Dries & I had already started to form a fantastic relationship, and I came to love the Drupal community & project. In the end, Lucene did make its way back into Acquia, but as one of our Acquia Network features - not as the basis for the company. I also briefly considered the Joomla! CMS; but the community dynamic of that project was cause for nearly immediate rejection once I saw it first-hand. In the interim, when Dries & I weren’t gabbing, I did all the “stuff” I normally did - validated the market, listened to customers, built revenue / cost models, searched for other executive hires, and started informal talks with potential investors. There were some elements of the investor syndicate from Pingtel that I was quite motivated to NOT repeat. Plus, it’s not a great path to building a billion-dollar company. Later, Tom Erickson will take on more professional services than my choice. In retrospect, the right balance may have been in the middle.